Summer is slowly on its way, but “winter is coming” are three words that send shivers down any fan’s spine and words we can expect to hear much more of as we reach the epic climax of the hit series. Let’s face it, the houses featured on the show are certainly glamorous to say the least, so let’s look at a practical way in which you can achieve a Game of Thrones style home, without being too full on. Whether you know nothing about interior or furniture design, allow this little blog, inspired by the four of the most powerful houses on the show, to inspire you. 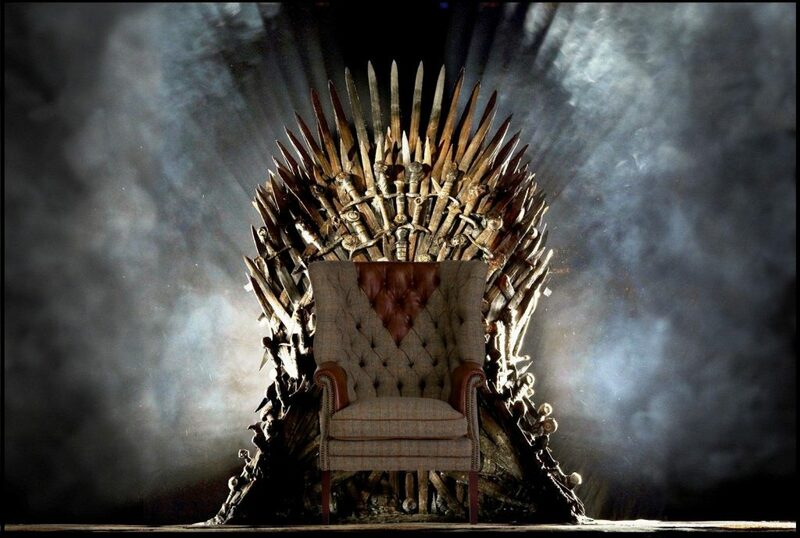 Take a seat on the Harris Tweed throne, the most coveted chair in Kings Landing. It may be manufactured in the North, but the Tetrad Mackenzie has all the sleek, style and glamour of the Crownlands. While the North is portrayed as being bleak, rainy and quite often snowing (which isn’t exactly far from the truth), it’s also in the heart of nature and surrounded by the wilderness. To deliver a living room the North will remember, we paired natural, wooden console pieces with animal-inspired accessories to create a warm and homely décor. Not to mention we’ve included the appropriately named Sansa sofa, that’s certainly fit for a potential future Queen. A land of luxury, the castle of Highgarden is situated in The Reach, which is home to flourishing crops, plenty of gold and lots of greenery. Your Tyrell-inspired living room must be light and bright, with plenty of glamour. The Grace sofa from Alexander & James can achieve just that, with its frilled hem and contrasting cushion packs. Complimenting this theme are an elegant wooden coffee/side table duo, that has a framed embellishment to symbolise the House of Tyrell sigil. “Hear me roar” is the House of Lannister’s slogan, which is exactly the mind-set you need for achieving this bold interior. Make your living room grand, unforgettable and most of all, traditional. We’ve hand-picked regal sofa designs, paired with dark wooden accessories and of course, plenty of gold. This interior instantly feels powerful to create a room perfect for plotting your future and of course drinking wine while you do it. For the castle of Dragonstone, we’ve gone for intimidating furnishings that are medieval and gothic-inspired. Tall floor lamps, black colour accents and deep reds are what makes a room fit for a Khaleesi. We’ve added statement accessories, all with metal accent details (sadly, not made from Valyrian steel), but this embellishment adds an element of drama to your interior, for an instantly stylish Dragon-friendly lair. Which interior would you choose?